Everything admitted students need to know can be found on the New Spiders website. We hope to see you soon at one of our admitted student events! We'd love to hear from you! In addition to receiving some general information and important admission announcements, you'll also hear from your regional admission counselor. Let’s get one thing straight: Richmond students are ambitious. For some, that means more than one major, or taking classes across schools to pursue multiple areas of academic interest. For others, it means leading student clubs or organizations, volunteering in the City of Richmond, and joining a club sports team. Regardless of what Spiders choose to pursue (which in many cases is all of the above), we know their health – physically, mentally, and emotionally – comes first. That’s one of the main reasons we’re building a new Well-Being Center on campus, which is scheduled to open in fall 2020. Attached to the Weinstein Center for Recreation, the new center will be the perfect spot for our students to tend to their health and overall happiness. On March 14, to commemorate #NationalSpiderDay (yes, we have the only mascot bold enough to compete with a day dedicated to pi(e)! ), Regular Decision letters left the Office of Admission on their way to thousands of applicants waiting to hear from us in our final round of admission for the year. The start of January brings my colleagues and me to a critical crossroad in the admission cycle; the past months of intense travel and preparation for the Class of 2023 are more or less behind us, and the formerly far-flung reality of weeks and weeks of application review (we call this “reading season”) is suddenly, fully, and unequivocally upon us. The professional challenge for Admission Officers at the start of a new year isn’t just digging deep to review all application files by April 1. It’s the knowledge that, with an application deadline of January 15th, there are still students we’ve gotten to know and appreciate who have not yet applied to Richmond. And that, to me, is not so much a crossroad, as it is a colossal impasse. For those of you rounding out your college lists, still making decisions on where to apply, I know there’s not much I can do or say at this point to get Richmond definitively added to your list. But with a few days left until January 15th, a new year deserves a new attempt to show you why Richmond just might be the very place you belong. As a 7-year veteran in the world of higher education, I’ve watched many families tackle the college admission process. Parents help their students in very different ways but the one thing they all have in common –the hope that their child will be happy, healthy, and successful. So, what is the best way for parents to help their students during this momentous time? I am not a parent and do not pretend to understand the complexity of parenting a high school senior on the precipice of one of the biggest investments of time and money in their lifetime. Luckily, I have two uniquely qualified colleagues to dole out advice: Gil Villanueva, Associate Vice President and Dean of Admission; and Marilyn Hesser, Executive Director of Admission. Together, they have a combined 62 years of admission experience. Gil is parent to one college sophomore and one high school student. Marilyn is the parent of three young adults. I’m fairly new to our Office of Admission, but as a Richmond grad, I thought it would be pretty easy to answer students’ questions. And sometimes it was – questions about student life, the City of Richmond, or UR sports teams were some of my favorite. Other questions weren’t so easy. They got at the heart of what it’s like to be a student at Richmond, but required a lot of thought for me to answer. Here are three of the toughest questions I heard this fall, and my honest responses. Today marks week three of seven on the road of recruitment travel. My life is perpetually packed into a 14 x 22” carry-on, my waistline is suffering from a diet of Oats and Honey granola bars and vanilla mint Tic Tacs, and my distaste for airport travel is only counteracted by the fleeting moments of joy found following TSA on Instagram (an unexpectedly amazing account). After seven seasons of admission travel, you might wonder why I stick with this job. The reality is that the travel isn’t glamorous, nor is the paycheck large. But each and every year, I am motivated by the possibility of meeting future Spiders who will challenge my way of thinking, reveal new opportunities for empathy, and inspire the ambition I see so prevalent on our campus. And along the way, I’ve developed a few pieces of advice. Call them words of wisdom or mere musings of an admission counselor. But for what it’s worth, here’s my personal philosophy on how to approach the college search. We’re still awaiting cooler fall weather here in Richmond, but our students have returned to campus! That also means that our Admission Officers are gearing up to hit the road and visit your high school, college fair, or your neighborhood coffee shop for a quick Spider Chat. 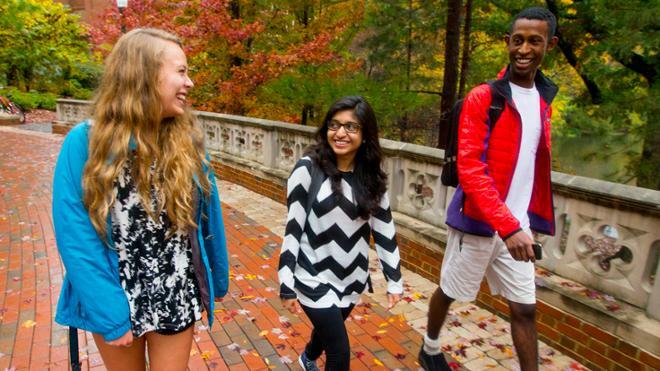 Whether you are a senior polishing your admission essay or a junior starting the college search process, fall is a great time to make connections with your admission officer at the University of Richmond and other colleges you might be applying to this fall. If you know anything about the University of Richmond, it’s probably that we’re a highly selective liberal arts school... but our 17 Division I sports teams are the real deal, too. “How can I improve my chances of admission?” I usually start to hear that question around this time of year. By October, I’m hearing it on an almost daily basis. It’s understandable that this is one of the most common questions we get from high school seniors beginning the application process – guidebooks, web searches, and the media would have you believe that there are a myriad of hidden tricks that can significantly boost your odds of getting in (if you could just figure out what they are). There’s no time like the present. The early bird catches the worm. Don’t put off until tomorrow what you can do today. Just do it. We dole out advice frequently and exhaustively throughout the college search process. And I mean the collective We – teachers, counselors, admission professionals, classmates, friends, family, and strangers who find out that you are a high school senior. Whether helpful or not, offering advice is what we [Admission] do. So here are our top 5 reasons to start working on your college essays early. Campus visits are available to all prospective students on most weekdays and many Saturdays throughout the spring. The next Preview Richmond open house will take place on Friday, March 29. The Princeton Review - College and Beyond has named UR as the No. 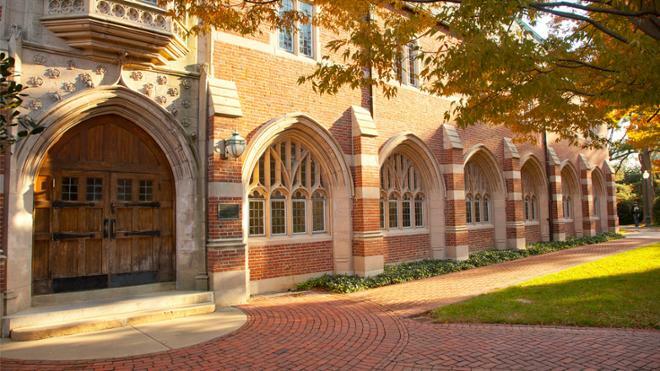 3 Best-Run College in the 2019 edition of "The Best 384 Colleges" college guide. We welcomed the Class of 2022, which is among UR's most academically talented. 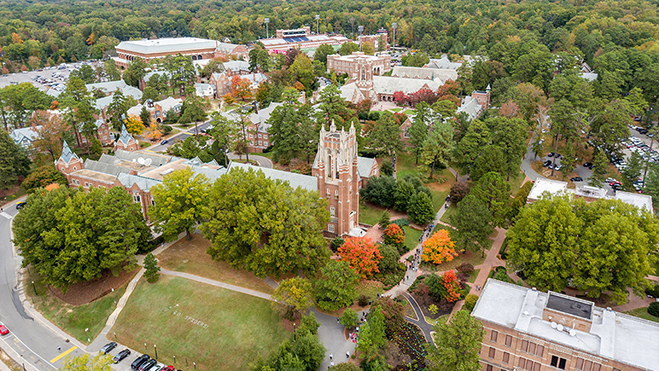 The University of Richmond’s Class of 2018 is heading to coveted jobs and graduate schools all over the world. But as any alum will tell you, the Spider connection is for life. Tracee Carter, '16, takes Spiders on a Richmond adventure, visiting Carytown, the James River, UR Downtown, and more. "How does it feel to be leaving the University of Richmond?" "Do you ever do anything in downtown Richmond?" "What post-grad related question do you keep getting asked?" "What kind of celebrations do you have during senior year?" "What's the food scene like in Richmond?" What has been one of your favorite things about senior year so far? How far were The Proclaimers willing to walk? What kind of school tradtions do you have at the university? What's your time managment secret?